It recently occurred to me that having grown up in a yogic community, there are all sorts of wonderful little tidbits of a yogic lifestyle that I have integrated into my life, but never really realized how powerful it is to have access to them and what a blessing it is to just have them woven into the fabric of my life. Growing up, I took a cold shower every morning. My parents told me it was to stay healthy, and I never questioned it. 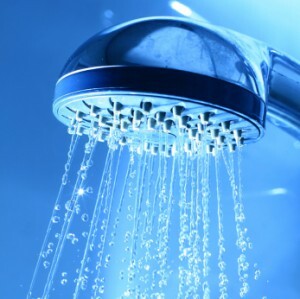 As I got older, I started making the switch to hot showers and became completely addicted to the luxury of hot water. It wasn’t until I was in college, and struggling to keep my head clear enough to maintain my grades that I remembered the heightened clarity that would follow me through the day after a cold shower. There’s nothing that gives me clarity like a cold shower and helps me face my day – it’s soooo much better than coffee and it’s side effects are spectacular. Taking a cold shower makes all of your blood rush inward to your organs, flushing out toxins and sending fresh blood through them. It greatly enhances your circulation, charges your energy, activates your digestive system, circulatory system, lymphatic system and nervous system. When I moved back to the US from India in 2001, I had allergies for the first time in my life. When the season for mowing lawns started, my head completely fogged up, I sneezed endlessly and couldn’t stay awake. I felt horrible and no natural medicines or home remedies could help. The second year, desperate for a solution, I started taking cold showers in the morning. I found that my head would stay clear for hours afterward, and my allergies would clear. It felt like a small miracle. Yogi Bhajan taught that yogis should start every day with a cold shower. Before entering the shower, you should use a sponge or body brush to exfoliate the skin. Then, rub almond oil over the entire body. He suggested wearing shorts/underwear in the cold shower to protect the thigh bone’s calcium-magnesium balance. You should stay in the cold water for a minimum of 3 minutes, and you should be moving the entire time, using your feet to massage your thighs and calves, and using your hands to massage your arms, back, chest, stomach, shoulders and face. Women should avoid taking cold showers when menstruating. Share your experience with cold showers here! We would love to hear what they’ve done to help you. Why the almond oil? And do you wash with soap in the cold shower or do you wash with soap in a different shower after or later in the day? The cold shower is the best thing I have learned from Kundalini Yoga. It is amazing how well I feel after it. My skin feels soft and energized, and my mind is clear indeed. When ever I have to use hot water, my body resents it, it doesn’t like it any more. Its like a joy for my body to receive the blessing of the pure, clean, fresh water every day. Need to see proof that these people are taking cold showers… pictures please! I found myself homeless, family and friends turned their backs on me, even though I’d stood by and supported them always. I was unable to find work, and suddenly everyone I knew suddenly didn’t want to know me. I slept in a car at the beach, and there were only cold showers there. I was so grateful for them, at least I could maintain my hygiene. It was winter and the water was really cold. However, I would rise early before anyone could see me, and shower in that icy water. I later read that showering in cold water can be good for enlightenment. It is said that cold water holds more light than hot water and that it is really good for spiritual enlightment for that reason. I read this while I was taking these forced cold showers, and it made me appreciate it all the more. I must say that during that potentially depressing period of three months, I was able to stay upbeat and positive, despite being the loneliest person on the face of this planet. I think I can attribute that positivity to those cold showers. I can also attribute my shiny hair, which also seemed to get thicker and grow quicker, to the cold showers, as well as my glowing skin. I vowed I would always take cold showers no matter what – and that only lasted a short while. I succumbed to the comfort of warm showers. Today I took a cold shower and felt so much better for it. It’s only cold showers hereon in. No matter how tempting it is to take a warm shower, I won’t do it. The benefits of cold showers are far too great. My roommate used to take cold showers in the morning. For long time I was thinking she is either the coolest person in the world, or just plain mad 🙂 In the first case this would be because she loves cold shower, in the latter her cold showers would have been an act of willpower. Btw, cold shower after a good rest is bliss (and leads to the positive effects described here). After exhaustion they kill you, literally. I’ve just recently given up warm showers for good. I might consider one if an exceptionally beautiful woman was expecting me. 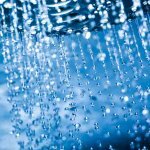 Is it possible to overdose on cold showers? It seems like there’s a lot going on in the body at the same time. What good do warm showers do? I LOVE cold showers!!! I guess I’ve done them so long I just couldn’t imagine taking anything else in the morning!!!! I wake up craving it…it gets my blood pumping, clears my nose and throat, gets me breathing deeply, and makes my body soooooo warm, once I get out of the shower that is! 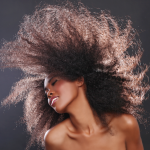 It is so invigorating and is such a reminder to me of all of the amazing organ systems that work within our body….even the skin…it makes my skin glow. It totally transforms my entire day. I take a hot shower later in the day if I’m going to wash my hair, but wouldn’t miss my cold one in the morning!!!! smile!!!! I feel quite blessed to have grown up with these teachings. So many things are just a part of me without conscious thought. Yeah! Thank you so much for this post – especially for the wonderful link to Yogi Bhajan’s explanation. At some point I stopped taking cold showers – as someone told me they were unhealthy — how often do I need a reminder to stick to my own intuition?! And now reading this article it all made sense again… Yoga is just a great gift. Thanks so much & Blessings! I keep going into my cold shower every morning for sadhana and even if everyday a part of me would love to run away from the bathroom,everyday ,I ‘m so grateful and feel so good after I’ve done it!!!! I’m just questioning myself now .about the calcium and magnesium from the tight’s bones…Should we were a short?! ?Can you tell us more?! Thanks for the reminder of why we do it- It always feels right, but it’s good to remember why! When I lived in India we had those individual water heaters in the bathrooms – and they were very often on the fritz – I would always try to look at it as a little blessing to NOT have to make the decision to take a cold shower – as much as I love the cold showers, hot water is sooooooo inviting! Synchronicity once again! I am staying at a home with a paloma hot water heater, which goes out on occasion in the windy weather. Since I haven’t been able to light it, I’ve been enjoying my hot showers!! I’ve always ended a shower with cold, but from start to finish it is really exhilarating. Thanks Karan, I’ve noticed we seem to be aligned with similarities.